When customers tell us that allergies are a top concern, we listen. The results are in, and our expert air purifiers research team has found the 5 best air purifiers for allergies, based on criteria such as effectiveness, coverage, warranty, and overall value for cost. Common allergens, like pollen, mold, and dust mites can wreak havoc on the immune system, but the best air purifier brands and models are proven to reduce symptoms of allergies by helping to improve your indoor air quality. 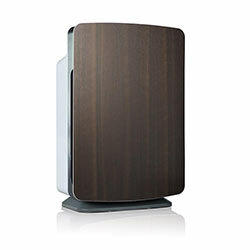 See which allergy air purifiers are rated best by our researchers. Expert Review The Energy Star Certified Alen BreatheSmart features SmartSensor Technology that detects airborne allergens and automatically adjusts airflow. The Air Pura H600 contains a high capacity HEPA filter that can remove 99.97% of particles down to 0.3 Microns. A smaller, more compact version of the Breathesmart, the BreatheSmart FIT50 takes quiet operation to a whole new level with its smart technology. The low-maintenance AllerAir 5000 Exec features 3-stage filtration to eliminate airborne particulates and allergens. 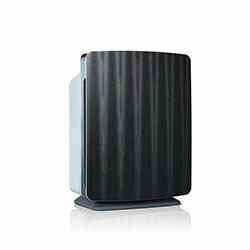 The T500 has a quiet operation, good coverage, and includes a Forever Guarantee. Pollen causes misery around the world for people who suffer from seasonal allergies. Since pollen can easily become airborne, it can be tracked by people, animals, or simply a gust of wind. It recirculates inside and is a threat to any resident with sensitivities to pollen particles from trees, grass, and weeds. Given the time of year, you may have everything from tree pollen, grass pollen, weed pollen, or mold spores in your air. What Is Causing Your Irritation? It is hard to imagine that a microscopic particle in the air can give a person so many unpleasant symptoms, but pollen is a powerful allergen that your body sees as a threat to your immune system. Your body may react with a mild case of hay fever, which may include bouts of stuffy or runny nose, itchy and watery eyes, sneezing, and coughing. Mild hay fever can affect people at certain times of the year. Since pollen is one of the most widespread and prolific particles, it is best to choose an air purifier designed to reduce symptoms of allergies. Because pollen so small, and can remain airborne for extended periods of time, an air purifier is an excellent device for addressing this problem. Air purifiers with High Energy Particulate Arresting (HEPA) filters are our recommendation for removing airborne pollen with the highest levels of efficiency. If your household includes family members who suffer from severe allergies, you’ll experience better results with a premium air purifier designed specifically to address your allergy concerns. Two air purifiers that provide the best combination of features and effectiveness are the Alen BreatheSmart and the Alen T500. These models have advanced HEPA filtration that can remove particles as small as 0.3 microns, but come with countless other benefits from customizable styles, smart sensors (on BreatheSmart) and Alen’s Forever Guarantee. 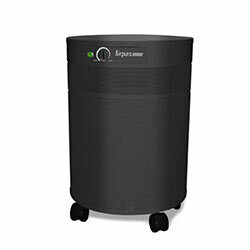 Those with family members who suffer from allergic asthma in addition to severe allergies, an air purifier that includes activated carbon can prove even more beneficial than a HEPA filter alone. The carbon removes odors that can trigger allergic symptoms in cases where people suffer from severe allergies and allergic asthma. For severe allergy sufferers, the best way to ensure clean and safe indoor air is by using these air purifiers in the bedroom and living room where you spend the most time. 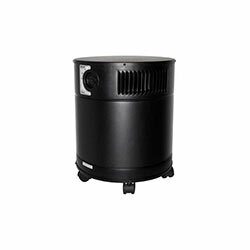 We carry many effective models of air purifiers for allergies and pollen removal. We know that the best performing air purifiers employ HEPA filtration, and we are committed to helping our customers improve the quality of their indoor air. When you tackle the source of the problem - your air - you can breathe better. Learn more about how air purifiers can help prevent allergy symptoms.